The 2016 Flash Fiction Contest winner is Kate Garklavs! Leesa Cross-Smith has finished deliberating, and she has selected Kate Garklavs‘s “In Memoriam: Lot 69097″ as the 2016 Flash Fiction Contest winner. 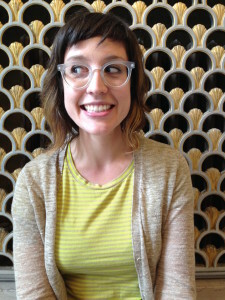 Kate’s winning piece will be published on The Conium Review Online Compendium, and it will be made into a limited-run micro-chapbook for distribution at the 2017 AWP Conference in Washington, DC. She will receive a $300 prize and a copy of the judge’s latest book. There were tons of amazing submissions, and we can’t wait to see what you’ll send us next year. The general submission queue opens on January 1st. Additionally, we’ll be announcing the 2017 Flash Fiction Contest judge shortly. Sign up for our newsletter to stay informed about these calls for submissions and news from The Conium Review and Conium Press.